Sail to Antarctica in luxury with Polar Routes, we only work with the top IAATO accredited expedition operators and can help you find the right ship, route and destination for you. You can enjoy the peace of mind that your expedition is taking place in the most responsible manner as through our partnership with the Marine Conservation Society every booking directly supports the conservation of these remote places. Our team have experienced first-hand all the ships and destinations in our core programme. We work only with the best small ship operators with each vessel having fewer than 500 passengers. This means that you will always have the chance to disembark the ship in the great white continent and enjoy the pristine wilderness first hand. After all, true luxury is in the experiences that you can treasure and share with your loved ones. Choosing your perfect Luxury Antarctic cruise has never been more straightforward. If you would like help finding your perfect expedition cruise, simply complete the enquiry form to get in touch. 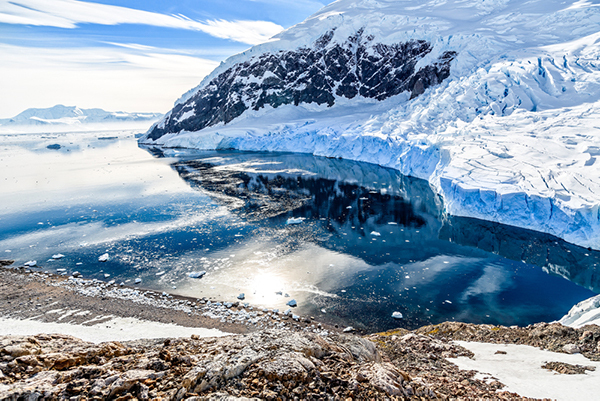 This 11-day Antarctic cruise offers the chance to discover the amazing sites of the Antarctic Peninsula in style. Enjoy a full-on expedition with two landing opportunities per day aboard the ships fleet of exciting zodiac boats but enjoy the luxurious facilities equivalent to a five* hotel when you return. From fine dining to sumptuous suites, you can be assured of an expedition with luxury! We often get asked, is it possible to see South Georgia and the Antarctic, without having to go the Falklands? Well, the answer is yes on this handy 15-day luxury cruise which does just! See the spectacular wildlife and King Penguins of South Georgia before moving on to explore and set foot on the Antarctic Peninsula. Enjoy a full expedition with luxury surroundings waiting for you back onboard your ship. 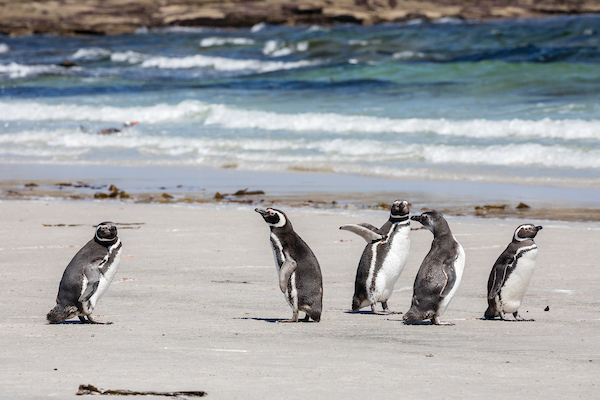 This 19- day cruise to Falklands, South Georgia and Antarctica is a once-in-a-lifetime experience that takes in everything that this incredible region has to offer. 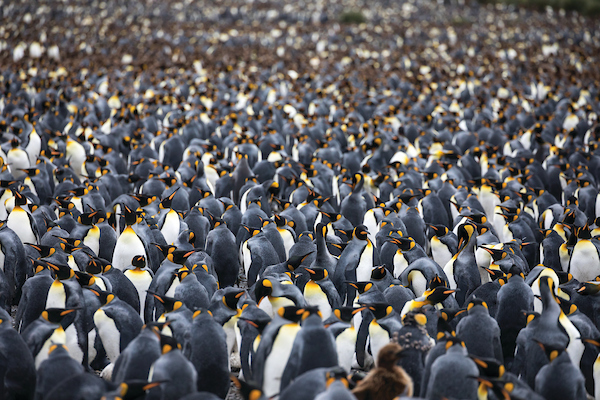 From the King Penguins of South Georiga, the unique wildlife of the Falklands and the incredible icebergs of the Antarctic Peninsula, this cruise really does have it all. Of course with it being Silversea, you will also have luxurious surroundings waiting for you back on board your ship with fine dining and all-inclusive drinks! 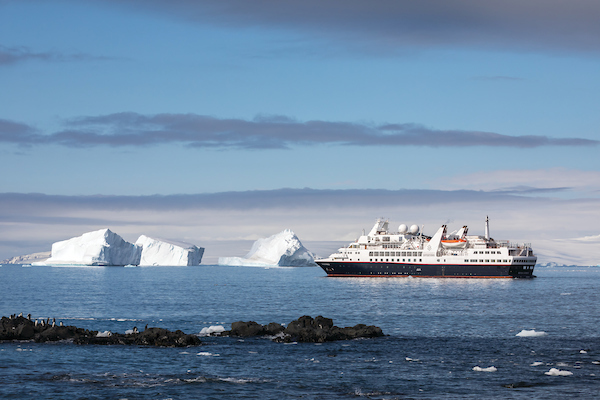 The voyage takes up to 15 days and will unveil the wonders of the Antarctic Peninsula. Our fleet of ice-strengthened vessels is designed to take you further South in the attempt to cross the Arctic Circle. In this adventurous journey, you will encounter whales as well as colonies of penguins, and stunning landscapes with majestic glaciers, icebergs and much more. Not many people have travelled this far South. The experience will be breath-taking as the scenery on the white continent feels magic and unreal. 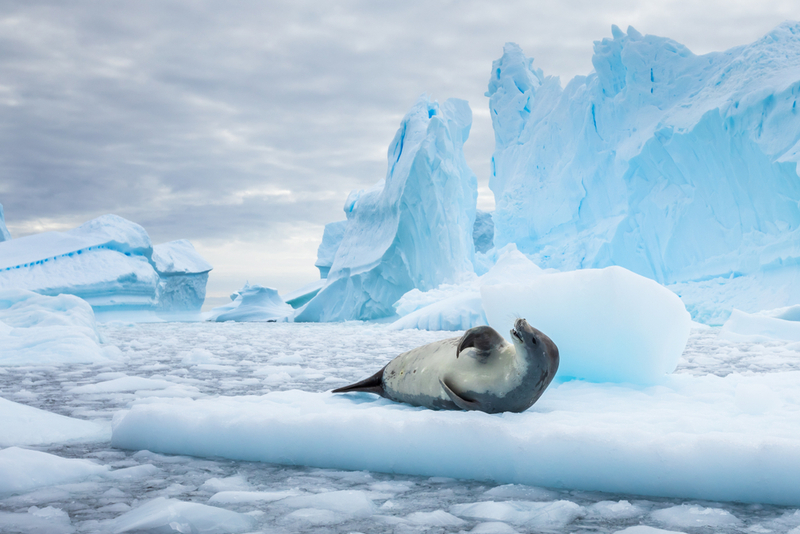 A once in a lifetime adventure, the jewel in the crown of Antarctic expedition cruising, from Pole to Pole there is no better way to see the world than aboard a remarkable 167-day world cruise. You will explore seven continents and five oceans aboard a small ship that can slip into the less explored corners of our planet and provide you with truly unique experiences. 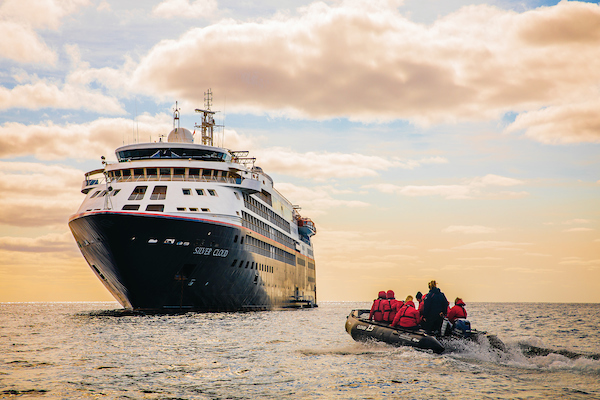 Sailing with Silversea you will explore Antarctica, the Arctic and everything in-between from Papua New Guinea, Australia's Kimberleys to Easter Island. A world cruise is the journey of your dreams that will bring you up close to some of the most remote and isolated people and places in the world. The lifestyle is one of sheer indulgence, with impeccable service and staples like spacious suites and superb gastronomy. Enjoy the close-knit camaraderie of like-minded guests. Meet eminent guest lecturers who share their insights. Sail on the world cruise, and you’ll feel a more profound connection with the world around you. 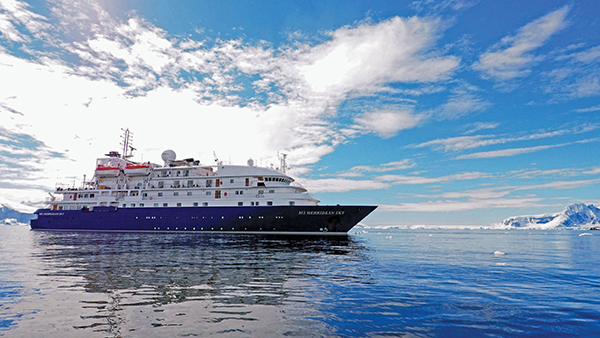 Silver Explorer is a purpose-built, luxury expedition ship offering a full expedition experience and is designed specifically for navigating waters in some of the world’s most remote destinations. After an extensive refurbishment, Silver Cloud will be one of the most comfortable ice-class expedition ships sailing to the polar regions. You’ll discover all the signature features people love most about Silversea: spacious all-suite accommodations with butler service, open bars, award-winning cuisine and the only Ice Class expedition ship with five dining options. The Hebridean Sky underwent a ten-million-dollar refit in 2016 transforming her into the safest and most comfortable ship in her class. There are a host of new amenities, state of the art stabilisation, improved fuel efficiency and upgraded communications systems. Learn more about Hebridean Sky. The Island Sky is an all-suite, luxury expedition ship. It was built in the same Italian Shipyard as its sister ship, the Hebridean Sky. The Island Sky is built with spacious, well-appointed suites, stylish common areas and state of the art ‘redundant-core technology’ that allows the ship to sail smoothly, even in the roughest conditions. 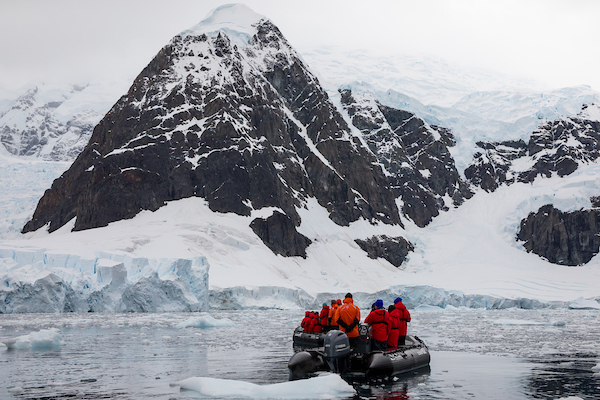 Silversea offer the ultimate 5* expedition experience. They combine a superlative expedition experience with a luxury onboard lifestyle. Their close partnership with the Royal Geographical Society - the venerable British institution that supported expeditions by history’s famous polar explorers including Robert Falcon Scott, Sir Earnest Shackleton and John Franklin- allows guests to really appreciate the true depth of the experience in these remote regions. Their team of onboard experts bringing all aspects of the landscape, its wildlife and history to life. Polar Latitudes offers a wide range of trips to Antarctica and has a highly experienced and passionate team. The comfortable ships offer a touch of luxury and fantastic food with a relaxed and informal atmosphere. The company is the first polar operator to adopt the Polar Tourism Guides Association (PTGA) and support different communities such as UK Antarctic Heritage Trust and South Georgia Heritage Trust. The company was established in 1988 by Philippe Videau, Jean-Emmanuel Sauvé, and other officers of the French Merchant Navy. Ponant has become a leader in a new style of luxury cruising and promotes the art of sea travel around the world. It operates all around the world and design itineraries rich in encounters and discovery. Their fleet has 12 ships, each of them has its own personality in line with company philosophy. Their team offers exceptional expeditions into the most remote places on Earth in a five-star environment. The travel experience will be as authentic as sophisticated. Seabourn has more than 30 years experience sailing around the world in refined luxury, supported by an award-winning crew. The company offers a wealth of amenities including a luxury bar, large spa and generous private verandas. The experience is spacious, intimate and luxurious. It's for people who enjoy travelling in a sumptuous environment and desire sincere, thoughtful and personalised service. The expedition team takes you to the most fascinating places where you will receive a full insight into the surroundings as well as knowledge about the fauna and flora. 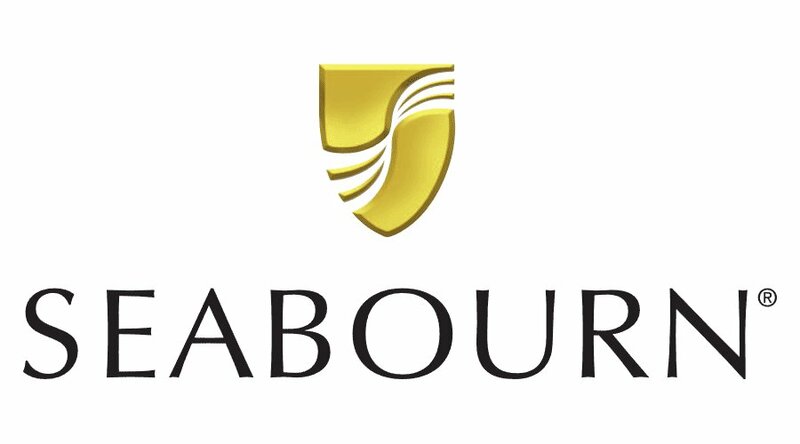 Seabourn has partnered with UNESCO to promote sustainable tourism at World Heritage properties. They aim to engender a wider understanding and commitment for the UNESCO World Heritage Convention’s mission to identify, safeguard and promote unique cultural and natural heritage around the world. 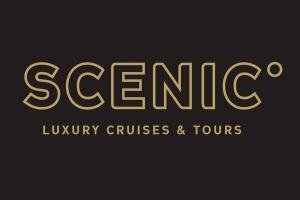 From humble beginnings offering coach tours throughout Australia, Scenic is renowned today for its world-class luxury touring and cruising itineraries. Scenic travellers want the most wondrous of experiences and exceptional 5-star service. The company’s cruise ships are akin to luxury floating hotels, their unique approach is soon to be brought to expedition cruising with the much-awaited launch of the Scenic Eclipse – The World’s First Discovery Yacht. 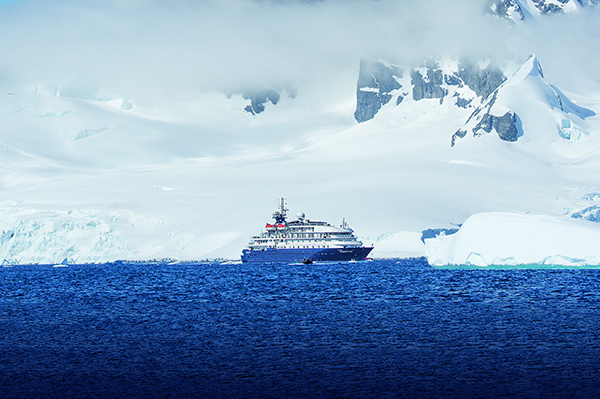 From the Arctic to Antarctica and everywhere in between, ocean cruising has never felt like this. 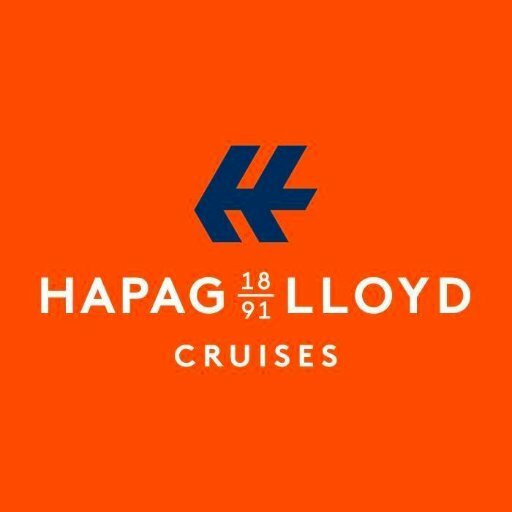 Hapag Lloyd Cruises takes travellers to explore far-away countries and continents in depth on luxurious ships. The expedition team provides full information on board and ashore with plenty of opportunities to experience exciting sights. The ships take you to spectacular and remote regions, far away from civilisation. Their international voyages ensure that English-speaking passengers are in a comfortable environment from the moment they get on the ships and all documentation is provided for this unforgettable experience. The expeditions give adventurers the opportunity to experience the fascinating polar regions with comfortable and spacious facilities. You will explore untouched regions and come face-to-face with natural and cultural wonders on innovative, award-winning routes.